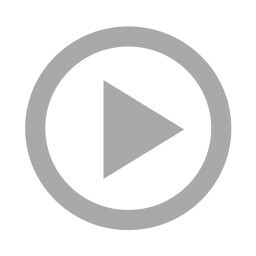 (HIB) – Kristen Johnson* loved her home, her family and their active lifestyle. She’d never want to change a thing — except for her foyer and adjoining dining room. When she and her husband first moved into their home, they had intended to refinish the hardwood floors in those areas in a darker stain to better fit their style, but life got in the way. Twelve years, two boys and countless birthday parties, pets and indoor soccer games later, their floors were covered in scuffs, scratches and stains, and some of their walls needed repair. To complicate matters even further, they had a wraparound staircase with a wood-tone banister that would also need to be refinished if they decided to change their floor. With their big family reunion and a house full of people just weeks away, Johnson and her husband knew it was time to make a change. However, they couldn’t afford to disrupt their busy schedules, and they didn’t want to deal with the hassle of renovation dust getting all over their ceiling fans, cupboards or worse — especially with their son’s dust allergies. They knew if they decided to take on this renovation project, they’d need it finished quickly, and they’d need the entire project to be as dust-free as possible. What’s the big deal about renovation dust? Beyond creating a huge mess, renovation dust is also a health concern. As any homeowner who has embarked on an interior renovation project knows, the resultant dust gets everywhere — even inside closed cabinets and in adjacent rooms. However, as problematic as the mess is, dust-related health hazards are of even greater concern, particularly to allergy sufferers. Traditional methods of mitigating dust usually involve extensive prep work, like hanging plastic sheeting and taping off doors, or doing a thorough post-renovation top-to-bottom cleaning. Both options are extremely time-consuming. Is there a better way to handle renovation dust? There is a better way to handle renovation dust: by collecting it right at the source like the pros do. Professional contractors are used to dealing with renovation dust, and given the volume of work they do, they create dust far more frequently and in much greater volumes than the average homeowner or DIYer. Rather than spend valuable time on prep work or post-project cleanup or suffer through the use of uncomfortable dust masks, they use dust collection tools that capture and contain dust immediately as it’s created, before it can become a mess or airborne health hazard. How Johnson tackled her dust-free renovation. 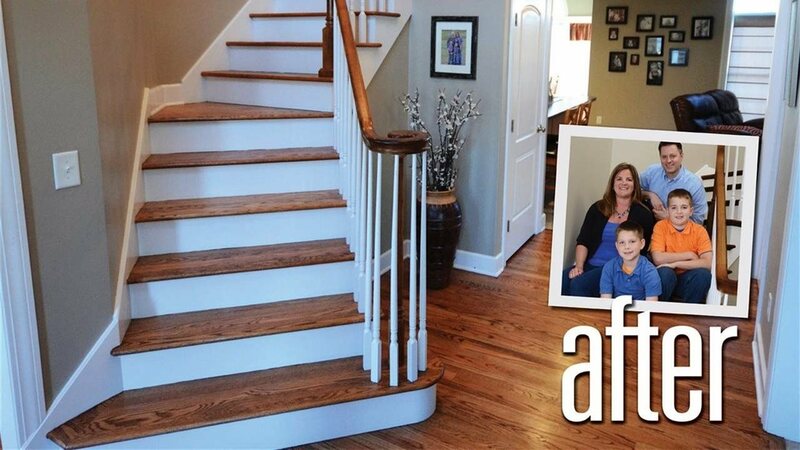 Because of their tight timeline, Johnson and her husband decided to take on some of their renovation themselves using supplies purchased at their local hardware store, but they let the professionals handle the tricky floor/banister redo. To repair their drywall, they patched the damaged areas using joint compound and a drywall sander, which together cost about $130. To make the sanding process dust-free, they added a Dust Deputy, which they connected directly to the drywall sander and to their wet/dry vacuum. They found that this combination captured virtually all the dust generated by the sanding. They noticed no dust in the air, and the Dust Deputy prevented the fine drywall dust from clogging their vacuum filter. Even though they had the flooring contractor tackle the floor and banister, they saved a few dollars by removing the varnish from the banister and other hard-to-reach areas themselves. To do this, they applied a gel varnish remover using a brush (together about $20), then scraped the wet varnish residue using a Viper Scraper attached to their Dust Deputy and wet/dry vacuum. The scraper captured the residue, and the Dust Deputy contained it for disposal, without it ever reaching, or damaging, their vacuum. Their big splurge was on the floor refinishing, which they left to the pros to tackle (about $2,500). To keep that process dust-free, they selected a dust-free contractor in their area who used a cyclonic Oneida Vortex dust collection system with HEPA filtration. In the end, they finished the project virtually dust-free and just in time for their family reunion, and they were very pleased with the results! *Kristen’s last name has been changed for privacy.